MAjORTOMMY drives with soulful vocals and a creatively colourful warmth on this EP, beginning with the welcoming embrace of Honey – a piece that showcases his powerful and characterful voice and songwriting style in a memorable and rather mighty way. This feels like something of a soft-rock ballad on occasion, veering off later on to include elements of classical and indie-rock alike. As the EP progresses, you come to know this as the MAjORTOMMY way with expression and creativity. Following the opener is a more delicate, riff-led song called Tell Me. 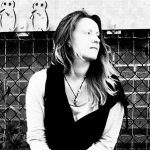 The opening guitar work, the space, and the whispered delivery, all create a different mood but still hold tight to that thread of personality and the now familiar; keeping you involved and keeping the journey interesting at the same time. This grows to be a consistently gentle piece, minimalist in a way, always gentle, but the details that are present have been finely chosen – everything stands tall as and when it should. The quickness of the instrumental notes creates a level of energy that works beautifully alongside of these smooth, calming vocals. At the same time as all of this, the song’s concept and the way the melody develops works to captivate and present something fresh and emotionally honest. The song reaches out to connect – on the surface this is directed at a significant other, but at its core it connects with the listener and becomes something else for each and every person who hears it. As is the strength of good songwriting – we make the music our own, it feels like a gift. Breaking things down to the even more bare essentials, Slow Motion redirects the vibe in keeping with the promise implied by its title. This is a heartfelt and passionate piece, MajorTommy’s vocals are at the forefront of the experience, and they’re incredibly powerful or contrastingly gentle depending on what the moment needs. The set-up is superb, the music and the vocals are so united that it feels like a work of art, and genuine too. You can feel the emotion and the difficulty as the performance pours through. I Don’t Wanna Go is the final song on the project and it’s an absolute highlight. Those intense strings flicker into the scene, the piano feels manic in contrast, and again the leading voice drives with a certain weight and power that really draws your attention. The reverb here, the melodic progression too, this feels like a long lost hit from a simpler time – the missing link from an infamous movie soundtrack. The instrumentation and the lyrics, the vocal delivery, all of this is compelling and satisfying in the way that a Seal song would tend to be. There’s so much emotion, and the melody here, particularly during the hook, is incredibly effective and easily recognisable. It’s a moment that satisfies, it sweeps you off your feet a little, and you want to learn the words and be a part of it all – another trait of a well crafted song. I was reminded a little, at one point, of Where Have All The Cowboys Gone – perhaps it’s the doubled vocals and the rising hook melody. A welcomed touch of nostalgia. 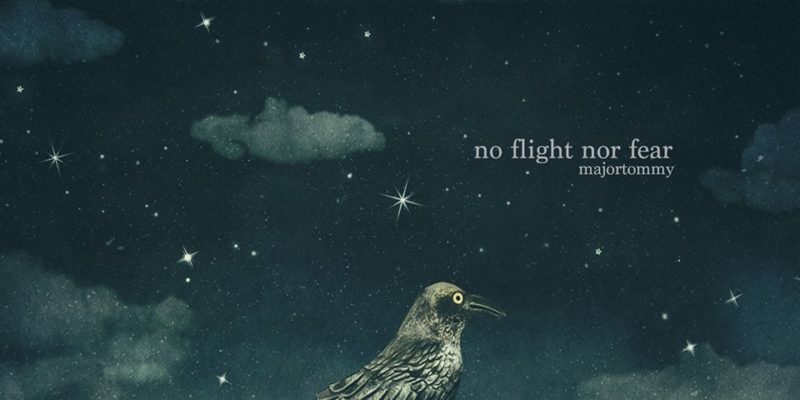 No Flight Nor Fear is a short but strong collection that seems unique and focused yet still eclectic enough to hold tight to your interest and affection throughout. Reinforcing the passion and dedication, the connection between the artist and the art, is the accompanying video for I Don’t Wanna Go – a clip underlining the raw performance put into the recording process. You can see the humanity and the heart and soul of the delivery. It’s a huge song, and within the context of the EP – it finishes things off in a manner that’s likely to have you replaying the whole project pretty soon after it’s finished. Download the EP via iTunes or stream it on Spotify. Find & follow MAjORTOMMY on Facebook & Instagram.